If you’ve just purchased an HTC One (M8) or Samsung Galaxy S5, it may be worth stocking up on MicroSD cards in case you ever run low on system storage space. 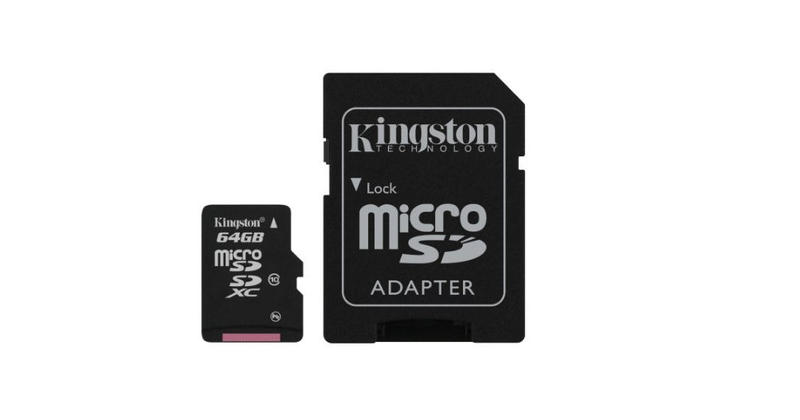 Today’s Amazon Gold Box Deal of the Day is on Kingston storage devices, some discounted more than 65% to prices you likely won’t see too often. Some of the standout items participating in the sale include 32 and 64-gigabyte Class 10 UHS-1 MicroSD cards priced at $15.99 and $34.99, respectively. There are also seemingly-ridiculous deals on regular SD cards, but these likely stay discounted for long periods of time anyway. If you were looking for a terabyte-capacity USB drive, you’ll save a mere $1,410.01, which may be enough to get you to purchase the item. All the deals mentioned, plus more, can be found at the source link below.